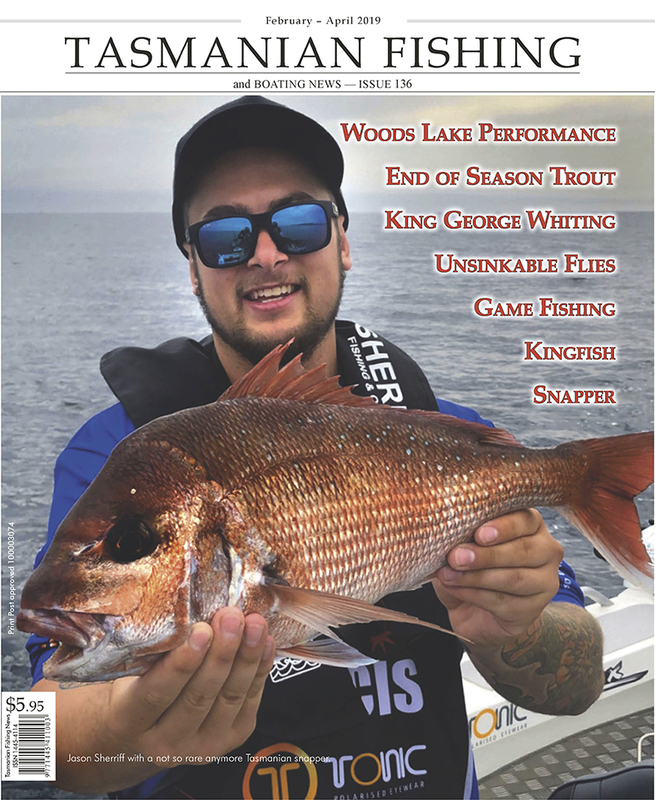 The Redfin as it is known to most Tasmanians is not favoured by many anglers - although there is no reason why this should be so. The Redfin will take flies, lures and bait readily and is quite good to eat. A lot of anglers consider it a nuisance good ENGLISH PERCH (Redfin-Perca fluviatilis) According to a Royal Commission report on the fisheries of Tasmania issued in 1882-3, the English Perch was first introduced to Tasmania in 1862 by two brothers, Morton and Curzon Allport. 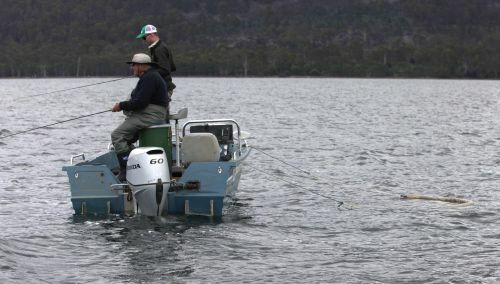 Steve Bax from Hobart's Fishing Connection previews fishing for sea run trout in the Derwent River. Some of the best trout fishing in Tasmania is found on Hobart's doorstep in the Derwent River. At this time of the year most anglers catch their fish on bait - using the local pretty fish, but there is also dedicated band of fly fishers. The pretty fish are found all over the Derwent, as are the trout. Two of the most prevalent species present in the Tamar are Flathead and Cod. Flathead has a firm white flesh which is excellent fare whether it be fried, grilled,BBQ or soused. While most cooks have little trouble presenting flathead in an attractive and appetising manner, a great many have trouble with cod. Recently I surveyed a number of well known, and some not so well known anglers to establish a guide to lures and flies for the start of the trout fishing season. Firstly lures, and then flies that the following anglers would like to have in their box for the opening two months. Each angler was asked "If you could only have three lures/three flies in your box for the start of the season, what would they be? " Join up to Redmap between now and 31 March 2011 and you’ll go in the draw to win a $400 voucher to spend on fishing gear, dive and snorkelling equipment OR marine gear. Visit http://www.redmap.org.au/news/posts/view/65/win-a-400-voucher/ for more details.